Stefania Milan is Associate Professor of New Media at the University of Amsterdam, and Associate Professor (II) of Media Innovation at the University of Oslo. She is also the Principal Investigator of the DATACTIVE project, exploring the politics of big data according to civil society (https://data-activism.net) and funded by a Starting grant of the European Research Council. Stefania holds a Ph.D. in Political and Social Sciences from the European University Institute (2009). Before joining the University of Amsterdam, she worked at the Central European University, the University of Lucerne, the University of Toronto and the University of Tilburg. She is the author of ‘Social Movements and Their Technologies: Wiring Social Change’ (Palgrave Macmillan, 2013/2016) and co-author of “Media/Society” (Sage, 2011). In 2009-2010, Stefania Milan was a a member of the EUDO CITIZENSHIP team in charge of coordinating the consortium and managing the website. 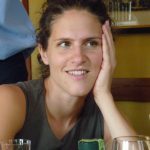 In September 2009, Stefania Milan took over from Benoit Challand the tasks of the EUDO CITIZENSHIP main research assistant for the EUI team in Florence. Stefania’s contract for EUDO CITIZENSHIP has ended on 31 December 2010. During the last quarter of 2010 she had already started to work on a reduced contract during a postdoctoral engagement in Montreal. Her position and tasks have been taken over by Guido Tintori. Stefania had previously worked on social movements and alternative media and is now returning to this core field of her academic expertise. She is a natural born multitasker, a whirlwind full of energy, and a great collaborator. On behalf of the whole EUDO CITIZENSHIP team, I wish her all good luck and success in 2011 and beyond.